Mactracker is a powerful diagnostic tool that can present every Mac OS X user with information about your current hardware, and hardware configuration of every Apple Macintosh computer ever made. If keeps track of all processor speeds, optical drives, graphic cards, memory, supported Mac OS versions, and more. In addition to internal hardware, it also has extensive database of external device, which includes all models of iPod, iPhone, iPad, scanners, printers, displays, digital cameras, mice, base stations, Wi-Fi Cards, and countless more. 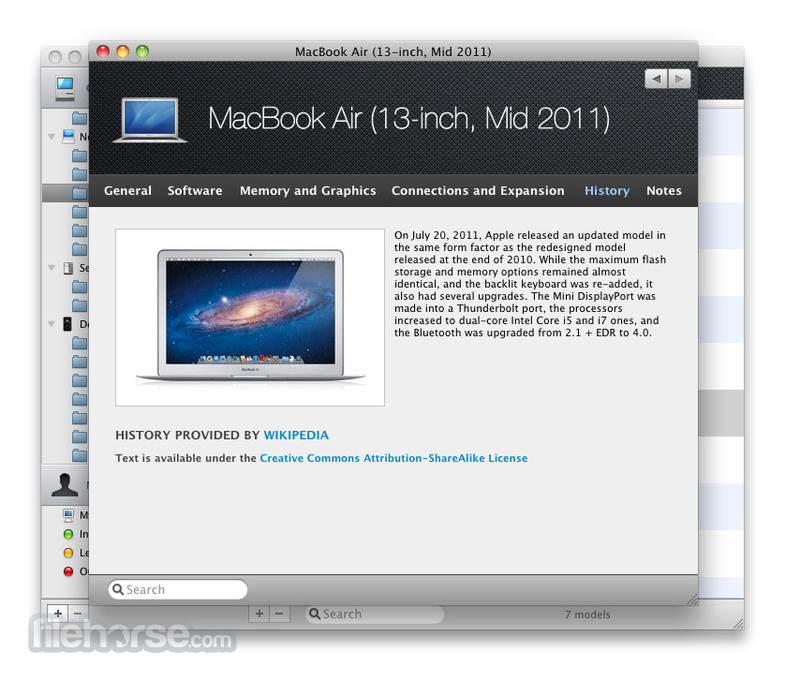 Mactracker for Mac is a freeware application containing a complete database of all Apple hardware models! Created by the developer Ian Page to help users of absolutely all knowledge levels to easily list the current state of Apple hardware, interface of this app manages to remain both highly professional an easy to use at the same time. 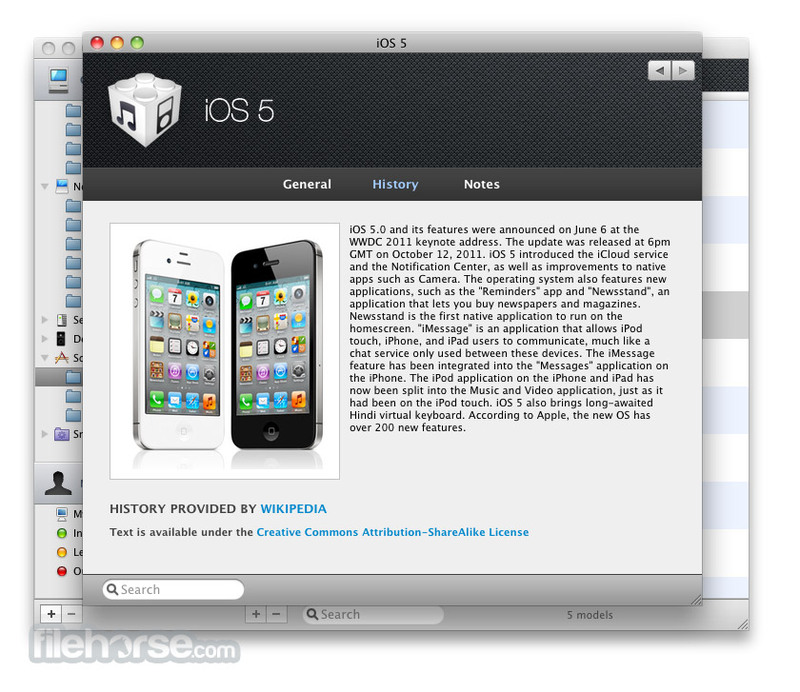 Main dashboard features listing of categories of hardware that was made by Apple. 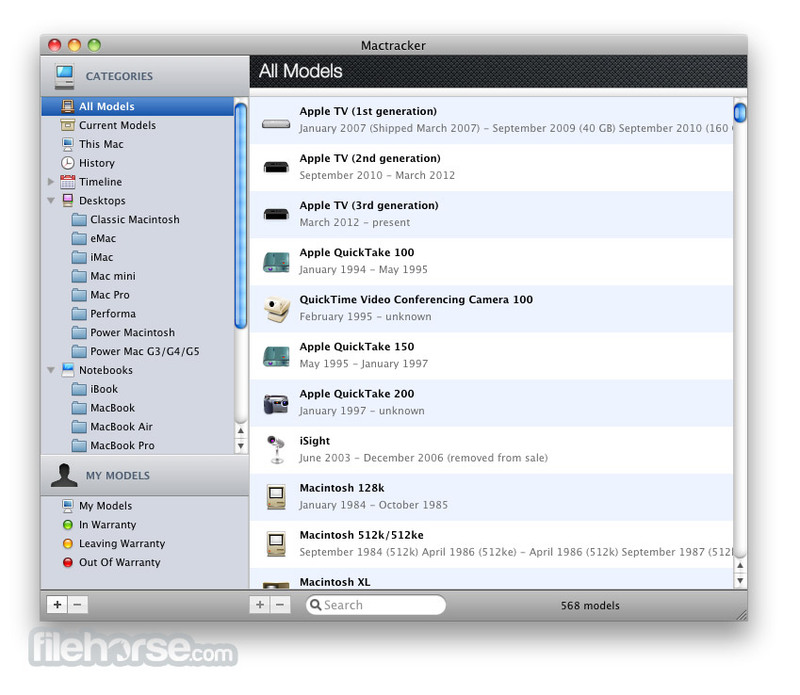 Listing starts with “All Models” , and then continues to be a focused more and more distinct categories like Current Models, This Mac, History, Timeline, Desktops, Notebooks, Apple TVs, iPhones, iPads and more. It even has an integrated showcase of your own models of Macs that are connected to your main apple account, showcasing if that hardware is still covered by warranty or will soon leave warranty. Every single piece of hardware that is showcased with this app has a deep listing of all of its components, power levels, historic prices and many other information that will be able to paint you complete picture about the capabilities of that Apple hardware. 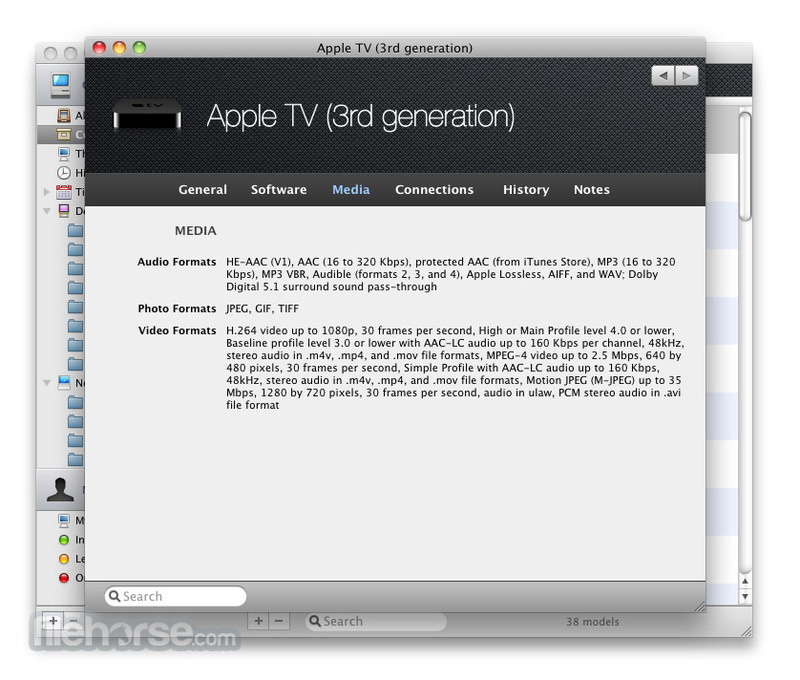 Mactracker for Mac provides detailed information on every Apple Macintosh, iPod, iPhone, and iPad ever made!